Here at Vote 100 we’re really looking forward to all the great new books on women’s suffrage which are coming out for the centenary. We were delighted last year to reveal the cover image and extracts from ‘Things a Bright Girl Can Do’, Sally Nicholls’ great new novel for young adults. We’re now thrilled to be able to give you three exclusive extracts from Diane Atkinson’s upcoming book, ‘Rise Up, Women! The Remarkable Lives of the Suffragettes’. We’ve been reading the book and have been really impressed by all the detailed research Diane has done to uncover the roles of so many women! As well the famous names, such as Emmeline, Christabel and Sylvia Pankhurst, there’s a huge number of almost forgotten women from all kinds of backgrounds in this book. Young and old, rich and poor, from all over the UK and Ireland, doing all kinds of jobs – actresses and composers; boot makers and cotton workers; teachers, doctors, shop workers and cooks – all part of this really rich tapestry of stories. Diane’s book covers the well-known organisations such as the WSPU, but also much more obscure ones like the United Suffragists. 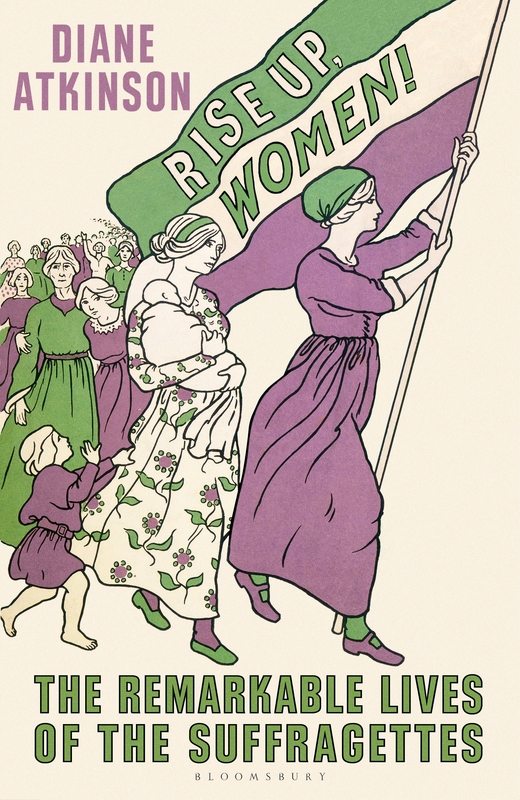 And you can find out about every aspect of suffrage campaigning including processions and overseas tours, window-breaking and painting-slashing, rushing Parliament and the census boycott; as well as the horrors of hunger-striking, forcible feeding and the Cat and Mouse Act. Next Wigan man stands for women! Dear Yvonne, there are lots of DVDs out there of possible interest to your group. There’s the film ‘Suffragette’ starring Carey Mulligan of course.